It's Friday !! That means that Shereen at 'Waiting for Him' is hosting 'Sew Crafty Fridays'. It's not just for sewing. 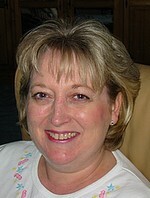 Shereen welcomes seamstresses, knitters, scrapbookers, quilters, crocheters, cross stitchers & card makers. Am I forgetting anything?? 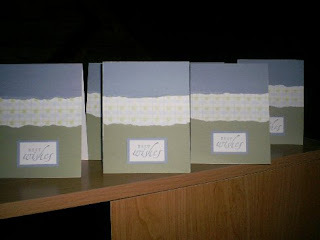 So, if you are working on a craft project stop by Shereen's blog and add your blog to the Mr. Linky. This is what I've been working at this week. 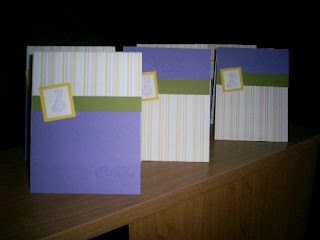 More cards !!! 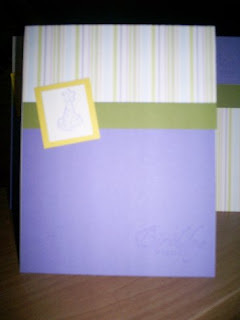 This one is a birthday card. "Happy Birthday" is stamped in the lower right corner. I like the how all the colors coordinated so well. 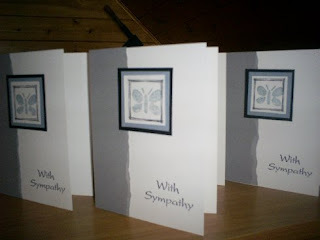 This is a Sympathy card. I added some light blue cardstock and ink to lighten it up a bit. Posted by Lisa at 10:23 p.m.
March 16, 2007 at 10:49 a.m. I just noticed your scrapbooking goal list on your side column. What a neat idea. I look forward to your updates on that. March 16, 2007 at 10:50 a.m.
Lisa, you do such a lovely job with your cards! 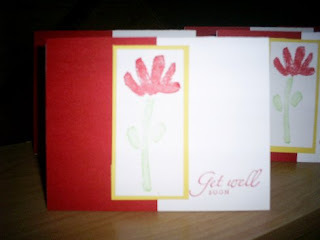 It is funny, I as I was looking at your cards I was wondering if you would show how you do it, what you use, etc for those who would enjoy it and Shereen beat me to it, lol :o) Keep up the great work over there! You really are doing wonderful! March 16, 2007 at 12:58 p.m.
Those are amazing! 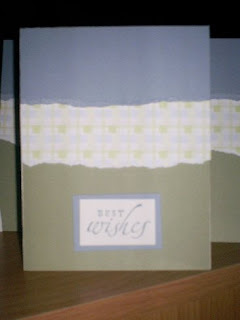 I love cards that are simple and elegant. So much nicer than Hallmark, LOL! March 16, 2007 at 4:09 p.m.
Hi! Thanks for stopping by my blog. I'm sorry about your brother and sil's ferret. Adrenal gland disease, sadly, is something that ferrets and their owners have to face far too often. May their next fur baby live to a ripe old age! March 17, 2007 at 9:48 a.m. I remember when I first started out... 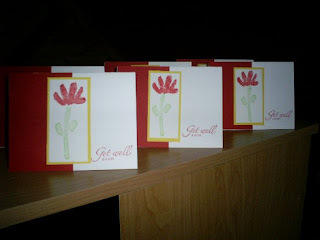 I worried about giving them to people because of the time and expense put into them. I was concerned that they would just get tossed into the trash along with all my 'love labor' & hard earned cash. 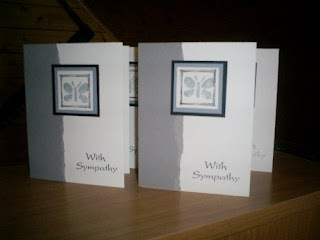 I was happily surprised with the positive response from people telling me how much it meant to them & that they had tucked the card away into their keepsake boxes. That meant a lot to me and gave me encouragement to continue. March 19, 2007 at 9:36 a.m.
March 19, 2007 at 7:37 p.m. Your cards are amazing, I'd definitely be inclined to purchase one if I saw it on the racks in a store. Great job! March 21, 2007 at 7:19 p.m. Your cards are gorgeous! I love your scrapbooking loft too. March 26, 2007 at 10:16 p.m.